Boneless & skinless chicken breasts are neatly hand trimmed of excess fat and skin then marinated with water and salt to make the chicken moist and tender when cooked. 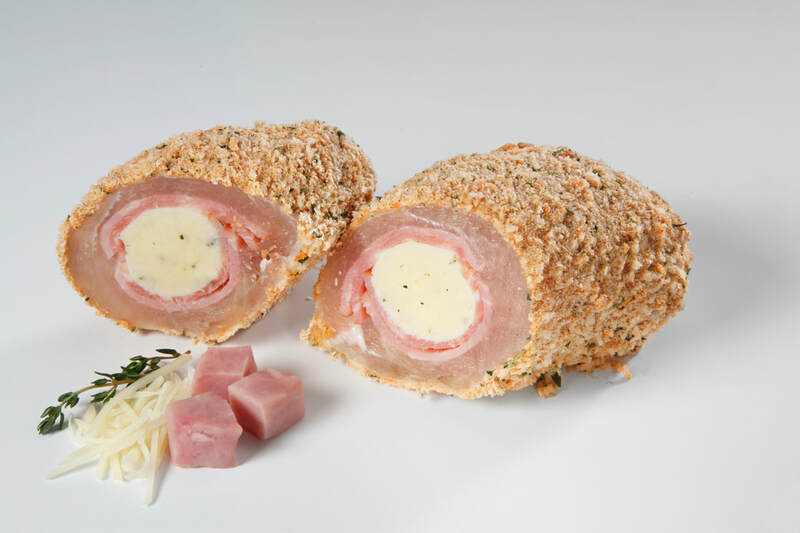 The chicken breast is then hand stuffed with herb butter, natural swiss cheese, and sliced fully cooked ham. The chicken breast is then rolled and lightly hand battered and breaded with a mixture of Breadcrumbs, Paprika, and Parsley.